In June of 1988, Riverside Lodge opened its doors and began serving the senior population. We are proud of the legacy we have built and have set the standard for retirement living in the Grand Island and surrounding area. Our founder, Jan Thayer, was innovative and dedicated to improving the services provided to the senior community. 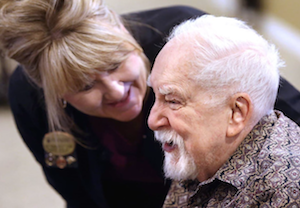 With that in mind, Riverside Lodge Retirement Community has recently opened a newly-remodeled Assisted Living Memory Support wing, THE ARBOR, located on our beautiful senior living campus. With the addition of Memory Support, Riverside Lodge is the only facility in the Grand Island area offering Independent Living, Assisted Living and Memory Support / Memory Care all under one roof! 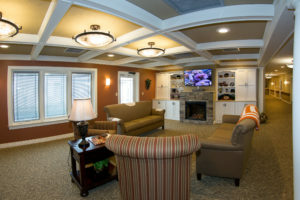 Our nurturing and home-like residence is designed for seniors with Alzheimer’s and dementia. 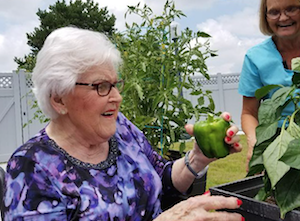 Under the direction of a Registered Nurse, Licensed Nurse and Certified Dementia Practitioners, The Arbor is designed to enhance the quality of life for our residents. The Arbor promotes independence and well-being, which enables our residents to function at their highest level. 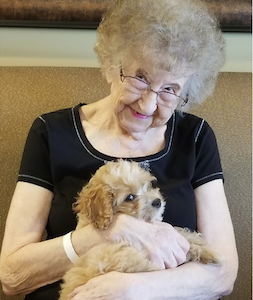 Our goal is to provide daily interaction, conversation, moments of joy, and meaningful activities such as: fitness classes, group discussions, socialization, music, sing-a-longs, outings, gardening, cooking class, pet therapy, reflections, reminiscing, and more. Programs are designed to promote dignity and maximize the independence of each resident. 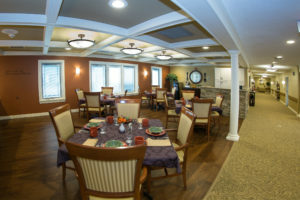 The Arbor is a secure neighborhood with 24-hour staffing trained in dementia care to ensure the highest-quality personalized care for your loved one and features 12 private suites, a kitchen and dining room, great room with a fireplace and a beautiful enclosed courtyard with a walking path.